Our service technician has removed the head on a Mitsubishi. The head was found to be cracked. If your car has a cracked head or blown head gasket, we can help. We are able to test your cooling system to find out if you have a cracked head or blown head gasket. 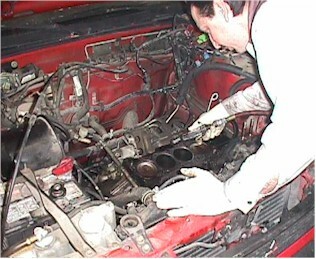 We frequently remove heads to inspect for cracks or for blown head gaskets. 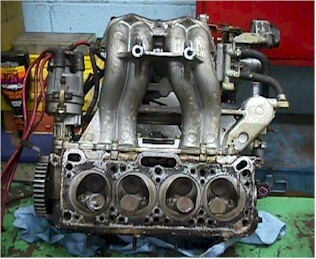 We can remove the head or heads to inspect for cracks or to inspect for a blown head gasket. If head is found to be cracked, we can have aluminum heads repaired in some cases. If an aluminum head is found to be cracked and non-repairable, we can get a replacement for your car.